Idlewild (UK) see: Samples etc. Billy Idol (UK) see: Samples etc. Iguanas (US) see: Samples etc. Ill Mondo and Neal Rames? The former are the Oakland-based production duo of Jeff Smothers and Johnny Igaz, while I can't tell you anything about the latter (the lyricist, apparently), although it's clearly no coincidence that his name's a spoonerism of 'real names'. 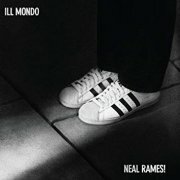 It's not even obvious what their collaborative album's actually called, although Ill Mondo & Neal Rames!, complete with its witty, Joe Jackson-spoofing sleeve art, seems the most likely contender. And it sounds like...? Hip-hop, effectively, albeit hip-hop with a solid core of musicality, elements of soul and jazz inserted into the expected sample-based environment. Matt Henry Cunitz plays his Mellotron on opener The Jump Off, with a grungy, buried-in-the-mix flute/vibes mix, by the sound of it. I'm sure this is good at what it does, but it certainly isn't worth hearing for a minimal Mellotron part. 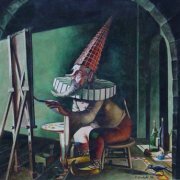 Ralf Illenberger (Germany) see: Samples etc. In 1968, the Yardbirds fragmented and guitarist Jimmy Page recruited a new lineup, initially called the New Yardbirds; you know the rest. Bassist Chris Dreja became a professional photographer and vocalist Keith Relf and drummer Jim McCarty formed a new outfit with Relf's sister Jane, bassist Louis Cennamo and ex-Nashville Teens keyboardist John Hawken called Renaissance. This lineup made two albums, then in what appears to have been some bizarre power struggle, the entire band was replaced by the musicians more commonly associated with the name. The original Renaissancers went on to play in various bands; Cennamo and Keith Relf eventually formed the excellent Armageddon, releasing their self-titled effort in 1975, while Hawken spent a couple of years in The Strawbs. Tragically, Relf died in 1976, electrocuted at home by a malfunctioning guitar amp. The following year, the surviving members of the original Renaissance, with a couple of other guys, reformed as Illusion, named after the second Reniassance album. Their sound is best described as somewhere between The Strawbs and what the then current Renaissance lineup was doing; lush folky prog, if a little lightweight. Jane Relf's voice had lost none of its quality in the intervening years, while several of the other members had honed their playing skills in the interim. Hawken's stay in the Strawbs had introduced him to a wider keyboard palette, including the Mellotron, to which the band added real strings on a few tracks. Even more mainstream than their first two releases, Illusion's Enchanted Caress, finally released in 1990, consists largely of demos for their third album, recorded in 1979. Most of the tracks are short, MOR-ish pop songs that make their first two albums sound like King Crimson. On steroids. Believe me, this is NOT an album for your inner Rock Monster, or even for anyone wishing to hear something at the more lightweight end of the prog spectrum. It's not all completely horrible; The Man Who Loved The Trees sounds more like their earlier work, their version of Richard Rogers' Slaughter On Tenth Avenue (also covered by synthesist Larry Fast as Synergy) is pretty decent and although it's not that great, closer All The Falling Angels (from several years earlier), is Keith Relf's last recording and is also the only Mellotron track here, with a rather ordinary string part from Hawken. n.b. Said track has recently been included as a bonus on a reissue of Renaissance's rather poor 1971 effort Illusion, as All The Fallen Angels, giving you even less reason to buy this crummy album. 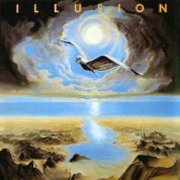 There's little stylistic variation between Illusion's two 'proper' albums; Out of the Mist uses slightly less Mellotron than Illusion, but there isn't that much to choose between them on that front. The closing tracks on each album probably feature the Mellotron the most, but it's mainly strings and choir used here and there, rather than blanket coverage. 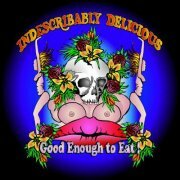 The material is indubitably pleasant and highly melodic, but don't expect much excitement. Chiefly for fans of Renaissance, old or new. Enchanted Caress is mostly shite, though, so don't go paying the inflated prices I've seen for second-hand copies. Apparently, the original four ex-Renaissancers reformed in late 2001 (sans Mellotron, I think it's safe to say...), but nothing's happened in the intervening years, so I think we can fairly safely discount that one. Illya Kuryaki & the Valderram (Argentina) see: Samples etc. 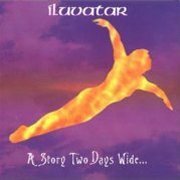 It has to be said; Ilúvatar (with or without the ´) are solidly, unrepentantly neo-prog. Whether or not this makes your hackles rise is, of course, an entirely personal matter, largely dependent on where you stand on the great Marillion debate, i.e. are they, or are they not shite? 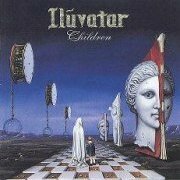 Ilúvatar clearly don't think so and have proved it over the course of a handful of rather unimaginative albums, not least their dull self-titled debut. 1995's Children didn't exactly herald a New Dawn Of Prog, being completely bog-standard neo-, its only even slightly unusual (note: not welcome) feature being vocalist Glenn McLaughlin's Phil Collins fixation, along with the usual Fishisms, of course. The rest of the band plod away in time-honoured fashion for at least twenty minutes too long, although twelve-minute closer The Final Stroke is probably the most inventive thing here. As far as Jim Rezek's Mellotron use goes, background choirs on Late Of Conscience and a reasonably upfront string part on The Final Stroke are all I can hear, apparently from M400 #1463. Four years on, A Story Two Days Wide is a marginal improvement, the odd interesting musical idea (Dreaming With The Lights On, Indian Rain) battling it out with the usual musical same old same old. Rezek's more pronounced Mellotron strings can be heard on Sojourns, Savant and Better Days, with choirs on the latter and Indian Rain, but nothing that you couldn't live without, to be honest. Fast-forward fifteen years and the band returns with 2014's appropriately-named From the Silence and... yes, they've broadened their taste, at least a little, although, sadly, far too many tracks fall back on all the familiar neo-prog clichés. Better material includes the oddly-titled Le Ungairé Moo-Moo, Between and The Silence!, but they're still a band in dire need of a crash-course in lesser-known '70s prog. Rezek plays what I presume is his M400, with cellos on the opening title track's intro, faint choirs and strings on Resolution, upfront strings on Le Ungairé Moo-Moo, more subtle ones on Across The Coals, background strings on Favorite Son and faint choirs on closer Until. 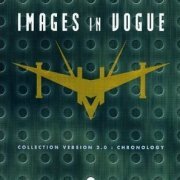 Little-known outside Canada, Images in Vogue were the Canucks' joint answer to Britain's early '80s synthpop boom, alongside Strange Advance. As far as I can work out, their discography is now partially available, in a rather piecemeal kind of way, split into three volumes of Collection Version..., missing quite a few tracks in the process. Irritating. 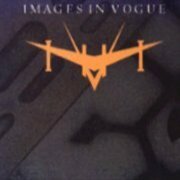 1983's Images in Vogue was their third release and second EP; it would be another two years before they released an album. It's a pretty decent effort within its genre, its five tracks utilising drool-worthy Prophet 5s, Memorymoogs and Oberheims, amongst other now sought-after gear. Musically, it cements their reputation as the Canadian Ultravox, with all the right Bowie and Roxy influences, plus an unfortunate hint of Duran Duran in places, but we won't hold that against them. And as for, er, For Germans, shouldn't that be Four Germans. Eh? Eh? The EP contains what is likely to be their sole Mellotron track, Masks, with some background choirs (possibly from Strange Advance's elusive 4-Track) that add to the song without being overly blatant. 2004's Collection Version 2.0: Chronology covers four of the EP's five tracks; it's actually a very nice compilation of their work, previously unreleased instrumental opener Travel setting the scene nicely, followed by another 18 presumably typical IIV tracks. Moreover, it's the only place to easily find Masks, although you really shouldn't bother just to hear some distant Mellotron choir. Images in Vogue were good at what they did and still reform for occasional (apparently well-attended) gigs. A couple of their members went on to form or work with industrial pioneers Skinny Puppy, but we shouldn't hold that against them, either. Imán, Califato Independiente were one of the all-too many obscure progressive bands from the '70s; Spain in this case, although they were on the local branch of CBS, giving them some local mainstream credibility. Like many Spanish bands from this era, they had a slightly jazzy touch and also brought in a flamenco influence; Imán, Califato Independiente is instrumental and a good example of its genre, particularly the side-long Tarantos Del Califato Independiente. Marcos Mantero is credited with playing Mellotron on three out of four tracks, with strings under the Elka string synth on parts one and four of Tarantos del Califato Independiente, Canto Al Califa and Cuarto Menguante and album closer Cancion De La Oruga, plus a few seconds of choir and more of those mixed strings in Darshan. Confusingly, Mantero also plays a 'Farfisa Syntorchestra', as if the waters needed muddying further. So; a cool album, particularly the sort-of title track, but not really one for the Mellotron fan, I fear. There was a second album, 1980's Camino del Aguila, but it appears to be Mellotron-free. Natalie Imbruglia (Australia) see: Samples etc. L'Impero delle Ombre (Italy) see: Samples etc. 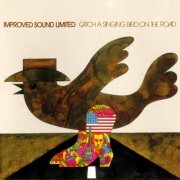 As far as I can work out, Improved Sound Limited were a vaguely proggy outfit who went off the boil around 1973, producing what appears to be their tribute to the Americana of the day, Catch a Singing Bird on the Road. It opens well enough with the surprisingly proggish Humphrey Bogart, before turning up the blind alley of American-sounding soft rock, exemplified by the rest of the record. It's not awful, just rather dull, with the odd halfway decent song (the folky title track, Hot Biscuit Slim) to keep the listener from dozing off. And as for the bluesy, blatantly Lord of the Rings-influenced The Dark Lord, the less said the better... Axel Linstädt plays Mellotron strings on opener Humphrey Bogart, as befits the nearest this album gets to 'prog', but it in no way makes this worth getting hold of, I'm afraid. One decent track, doubling as one passable Mellotron track. Maybe not. 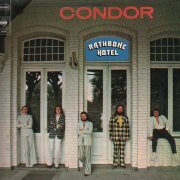 The band were persuaded to change their name to Condor around 1976, releasing their last album, Rathbone Hotel, under that moniker, although reissues revert to Improved Sound. It's a thoroughly mainstream mid-'70s rock album, utilising elements of the emergent West Coast scene, country rock and rock'n'roll, the end result being somewhat on the lacklustre side. Better tracks include the prog-lite of Bound For Spain and closer Sonora, but it's a little like clutching at straws. Linstädt on Mellotron again, with a full-on strings part opening Little Sue, major string and flute parts on Bound For Spain and occasional strings, combined with string synth, on Sonora. Alongside their 'normal' career, Improved Sound wrote and recorded film and TV soundtrack music, including work for directors Michael Verhoeven and Wim Wenders. 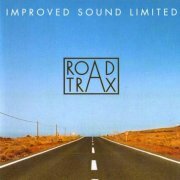 2002's Road Trax is a posthumous release of some of these, covering (according to their website) three different films, Im Lauf der Zeit, Das Brot des Bäckers and So Weit das Auge Reicht. Perhaps surprisingly, many of the short pieces here are not too dissimilar to their regular work, many being laid-back country rock, complete with pedal steel. Linstädt adds heavily-reverbed Mellotron flutes to Silver Circles and a handful of high string notes, faded in and out again, to One Note Interlude and its reiteration, although the latter could easily be real strings. 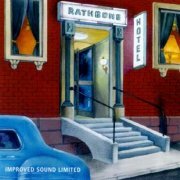 There's one more collection of Improved Sound soundtrack music, The Final Foreword, but it's resolutely Mellotron-free. Well, difficult to really recommend this lot, although at least we get a handful of decent Mellotron tracks. 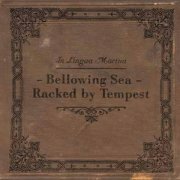 At first glance, In Lingua Mortua look like just another one of the 17,532 Scandinavian black/death/whatever metal bands in existence and indeed, as soon as Bellowing Sea - Racked By Tempest kicks in properly, one feels one's hopes begin to fade. However... Unlike most of their contemporaries, In Lingua Mortua are actually pretty damn' progressive, knowing how to make an album that the non-faithful can actually have a stab at listening to without falling about laughing or bursting into tears. Why? I'm still trying to work it out. Probably because it's more a progressive album with death metal tropes than vice versa, modulating key all over the place and structuring songs in an almost (dare I say it?) Änglagård vein. It's pointless picking out individual tracks; the album's best listened to as a whole anyway, but despite the blastbeats and 'uurgh' vocals, this is remarkably listenable. Startling. 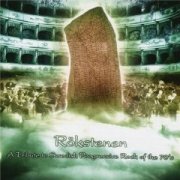 Mellotron-player-to-the-Norwegian-metal-(and-prog)-community, Lars Fredrik Frøislie, does his usual thing here, sticking 'Tron all over the place, with strings on all highlighted tracks (the only 'Tron-free track, Lacus Somniorum, is under a minute long anyway), with flutes and choir on several and definite cellos on Relinquish, if not others. There are brass parts on the album, too, but with a credited saxophonist, they're more likely to be baritone sax than anything (no alto solos here, thanks). 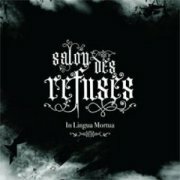 The band followed up three years later with Salon des Refusés, essentially more of the same, although the sleeve notes say, "The songs were created and recorded between 2001 and 2008", presumably making much of the material predate that on Bellowing Sea. Like its predecessor, it contains a very workable form of death metal/prog crossover, acoustic interludes being shattered by mad guitar work, roaring vocals and blastbeats. The vocals are a bit hard to take in places, but that sort of goes with the territory... Lars plays not only all keys, but drums and some of the guitar and bass work, making this pretty much his solo project with guests, rather than a band as such. Of course, he splatters one or more of his three M400s all over the album, with strings on most tracks, plus vibes (otherwise uncredited and therefore Mellotronic) on opener Full Fathom Five and Existence and cellos on Catharsis. We also get Lars' beloved new (well, to him) Chamberlin M1 on just one track (he only obtained it recently), presumably providing the massive strings on Like The Ocean, while the album's second instrumental, Electrocution, features a grungy mix of Mellotron cellos, violas and violins, making for another Mellotron Winner. Overall, then, two really rather good extreme metal releases that stay true to their genre while taking other influences on board. I believe it's known as 'progressing' (ahem). Loads of Mellotron on both, too, so a cautious recommendation for those who think they can stand the heat. In the Cage (UK) see: Samples etc. The Garden of Mysteries: CD-R only? Completely out of print? Peter Lindahl, born in 1951, formed the ethnic outfit Aladdin's Lantern in Stockholm in 1980, which (very) eventually morphed into Labyrint in the early '90s. After releasing the initially cassette-only Mysteriernas Trädgård, they changed their name to In the Labyrinth, and have been singlemindedly ploughing their world/prog crossover furrow ever since. The tape was reissued under their new name as The Garden of Mysteries in 1996, although, due to disagreements with ex-members, it has been officially unavailable for some years. The band actually make a pretty unique noise, with elements of various ethnic musics combining with a modern progressive style to create something new; surely what 'progressive' rock should be all about? About the only clear influence you could point to is that brand of krautrock acts who assimilated 'world' influences before there was such a term, particularly Embryo. 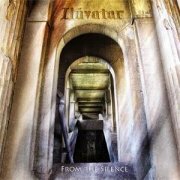 Led by the multi-instrumentalist Lindahl, their lineup seems to be fairly fluid apart from his lieutenant, Håkan Almkvist, with other musicians obviously being brought in as and when needed. The Garden of Mysteries sets out their stall quite unequivocally, opening with what sounds like plucked banjo, although it has to be something more exotic, going by the musicians' credits on their site. Their chief ethnic influence is definitely Middle Eastern, carrying on from their Aladdin's Lantern days, when they apparently worked backing belly dancers (! ), among other gigs, although all sorts of stuff pops in and out of the mix. Most of the material is instrumental, which seems to work better to my ears than their actual songs. Not actually that much of Lindahl's Mellotron (yes, it's real), with quick flurries of echoed 'Tron flute on Karakoram Pass, a more 'standard' string part on Kekova (The Sunken City), and what sounds like tape-replay flutes, rather than the real thing, on Ali Hasan. I think the flute on Monsoon is real, but those are definite 'Tron strings on Moorish Rapsody [sic] and Moorish Waltz, although the flute on the latter is, again, inconclusive. '99's Walking on Clouds carries on in similar vein, only maybe more focussed, being a real pot pourri of influences, often applied simultaneously. It's difficult to pick out highlights on a single listen, as I imagine this will take several plays to really appreciate, although the middle-eastern pipes on Golgonda are notable. Not so sure about the vocal tracks, though they're relatively few and far between. Lindahl plays Mellotron on several tracks, mostly strings, although some of the flute work is quite clearly 'Tron, too. The string parts are mostly upfront, if not actually solo, blending nicely with the more unusual instrumentation, at least to my ears. 'Tron highlight? Probably the end of Mahatma, although several similar parts could also qualify. 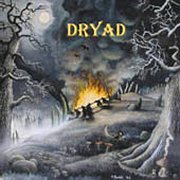 Three years on, Dryad is actually slightly less 'world' than its predecessor, although sitars, darboukas, tablas and the like still proliferate. The vocal tracks here seem better integrated into the album as a whole; in fact, 'well-integrated' is a phrase that sums the record up in general. Lindahl's diverse influences come together more smoothly here, at least to my ears, making for a more satisfying listen all round. 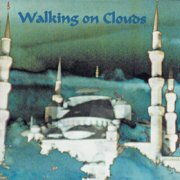 Marginally less Mellotron than on Walking on Clouds, with a similar mixture of about 90% strings to 10% flutes, with Muscarin Madness only featuring a few seconds of the latter. Overall, a slightly better album than its predecessor, but a little less 'Tron. So; if you're intrigued by this description of In the Labyrinth, either of the easily-available albums is worth a shot. Decent Mellotron work on both, too, though if you're offended by the sound of 'ethnic' instrumentation, you may wish to go elsewhere. Due on CD any time? 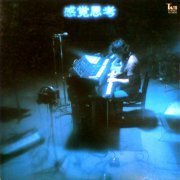 According to the estimable folk at the ProgNotFrog blog (try saying that quickly), a Japanese quartet confusingly called ARP released a single in 1974, the band name mysteriously changing to Yasuo Inada & Bemi Family somewhere along the line. After some fury and a lineup change, they recorded an album, Kankaku Shikou, consisting of contemporary reworkings of classical pieces and featuring Inada rather heavily on the sleeve. Can you spot the originals? Some of the piano (acoustic and electric) parts are familiar, but when the other keys lurch over the horizon, any pretence at attempting to copy the originals disappears. The Debussy and first Beethoven are marvellous, worth the price of admission alone, although the (relatively) brief second Beethoven is awful, a vocal number that sounds nothing like any Ludwig van B. that I've ever heard. Stylewise, the two good tracks (between them, 5/6ths of the album's length) alternate solo piano and band arrangements, Inada blasting away on Hammond, Solina and at least two different synths, in proper full-on prog style. Incredible Moses Leroy (US) see: Samples etc. Incognito (UK) see: Samples etc. 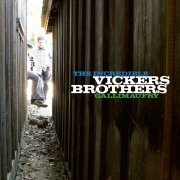 The Incredible Vickers Brothers are The Orange Peels' Bob Vickers' amusing conceit, crediting himself as both Bob and Rob, on an album often described as being at the 'twee end of powerpop'. Slightly unfair, as material such as English Rose, Top Of The Stairs and amusing, Victrola-channeling Record Collection Blues are far better than that sounds, while nothing here is any worse than 'average'. Vickers and Orange Peels co-conspirator Allen Clapp both play Mellotron, although it's only obvious on one track, Tomorrow, as that is not a Mellotron on Girl And Her Time. Anyway, we get a repeating high string line, underlaid with a complementary part, presumably one played by each musician, also presumably real, as it could go either way on this one. Incubus (US) see: Samples etc. Indeed (US) see: Samples etc. It's (unsurprisingly, all things considered) a bit of a mish-mash of styles, with the three tracks from their lone single session (The Kids Are Alright/Baby I Love You/Brother Where Are You) rubbing shoulders with the demos, which are of a rather dated psychedelic bent. Their version of The Who's The Kids Are Alright has a wrong chord, which can apparently be blamed on Solo's rearrangement of the song, much of the rest being OK, but really nothing special. In 1969, the Mellotron had barely had any impact in the States at all, although, of course, the originator of the tape-replay concept, Harry Chamberlin, had been building his machines in California since the early '50s. As a result, the 'is it/isn't it?' dilemma hovering over this album is resolved by its final track, The World Is Ended Right Now, which is smothered in that weird Chamberlin solo male voice, proving beyond a doubt that the Chamby had vocal tapes several years before the 'Tron. Anyway, keyboards were played by both Munford and Jack Bielan, so I've no idea which one plays the Chamby, but there's also strings on Big Ben, one of the album's more psychedelically-inclined numbers, and on the more straightforward The Rest Of My Life. So; a rather ordinary album, probably best described as a 'curio', to be honest. Three Chamberlin tracks, but apart from the male vocal (which may just possibly crop up elsewhere, too), it's all rather run-of-the-mill. Jim Conroy's clearly fairly unhappy about the whole business, though also fairly sanguine, and who can blame him? As he says, he's still playing today and has never had to do the crapulent 'oldies' circuit, like so many one-hit wonders. To sum up, this album is NOT the original I.D., except for three tracks, and they aren't especially representative of the band's garage glory. Indesinence (UK) see: Samples etc. 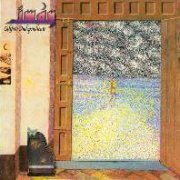 Indian Summer fall fairly and squarely into the 'UK proto-prog' category, along with Spring, Beggars Opera, Gracious! and many others; think 'late-'60s feel in the early '70s' and you're getting near. This isn't a criticism by any means; many of these bands were excellent, but had the misfortune to head up one of music's blind alleys. Pink Floyd aside (who were always completely a law unto themselves, anyway), the progressive bands who 'made it' were mostly those who had the courage to really push at the boundaries, and leave the '60s behind. 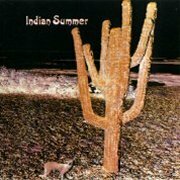 Indian Summer's a good album, though, with several lengthy Hammond workouts, but it fails to transcend its influences and create anything genuinely new. Opener God Is The Dog is one of the best tracks, with Bob Jackson's Mellotron lifting it towards its conclusion. The 'Tron is used sparingly and tastefully throughout, in fact, although you sometimes feel they could've used a little more without spoiling the pudding. So; a good psych/prog crossover album, and a few nice 'Tron bits. One for enthusiasts, but by no means a bad record. Recommended for fans of the genre.